This feature kicks off an ongoing series highlighting DLA's 2018 Downtown Impact Award winners. The Impact Awards recognize businesses or individuals that have made a significant contribution to downtown Lincoln. Canopy Street Market was the recipient of the 2018 Downtown Trailblazer award. 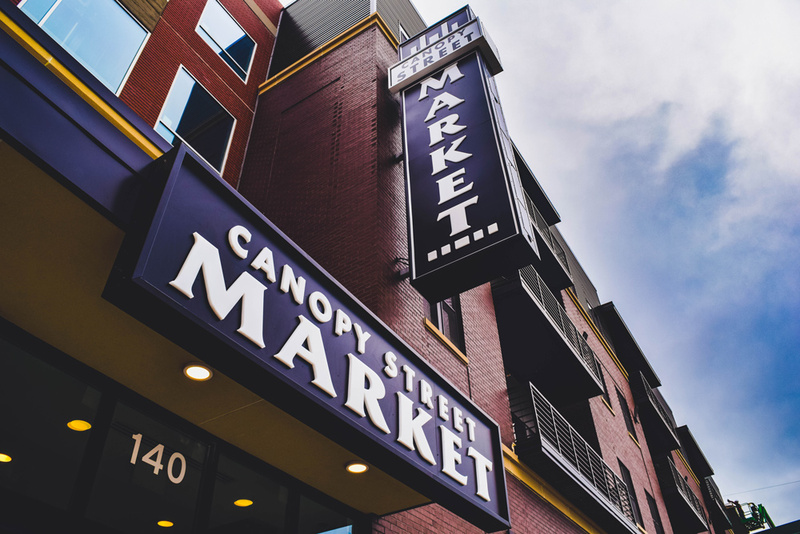 That’s the atmosphere co-owner Jill Moline was going for when she opened Canopy Street Market, the first full-service grocery store downtown Lincoln has seen in decades, located at 140 S. Canopy Street. It’s no surprise Moline wanted the shop to have a friendly, small-town feel. She grew up in Imperial, Nebraska, the daughter of a couple who owned the local grocery store. 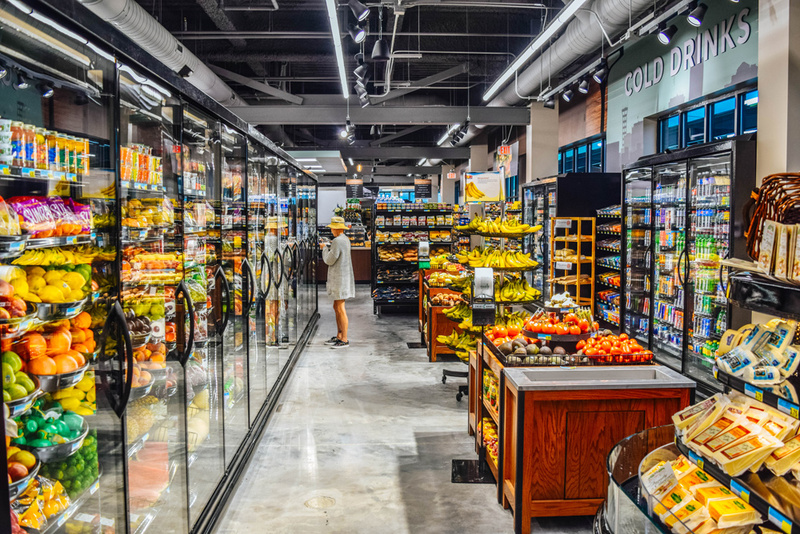 Later in life she moved back to Imperial with her husband, Allo Communications President Brad Moline, took over the store's ownership, and opened two more Colorado grocery locations by 2013. Moline saw the need for a grocery store when she and her husband got an apartment in the Haymarket area four years ago. She joined Mark Whitehead of Whitehead Oil to pursue the idea, and plans for the store were announced in the summer of 2016. Canopy Street opened its doors August of 2018. Although Canopy Street’s construction and opening process was slower than her other stores, Moline’s vision has stayed the same throughout the challenges, she said. Canopy Street’s establishment effectively ended downtown Lincoln’s “food desert” categorization--meaning the area’s residents previously had limited or no access to the affordable and nutritious food that comes from a local grocery store within ten miles. With a meat counter, deli, fresh produce, convenience store staples and beer, wine and liquor, the store is small but fully stocked. Canopy Street also provides daily lunch and dinner specials ranging from Chinese food on Monday to Italian food on Wednesday, ready to grab and go. Breakfast items like sausage and egg sandwiches and biscuits and gravy are made fresh Monday through Saturday. The store is looking forward to a grand opening Oct. 26 through Nov. 2, and offering online delivery and in-store pickup in November.